Dana Vaughan Kissee passed away peacefully on February 7, 2019. He was born on November 13, 1954 to Lois Jean Kissee and Darrel James Shoemake in Lynwood, California. Dana married Alison Cowden in 1974 and they had 5 beautiful children together; Joni Ann (deceased), Jamie Ann (deceased), Jeremy Lee (deceased), Joshua Vaughan (married to Danielle) and Jesse Francis (married to Vivian). They met at Magic Mountain in Newhall, California; Dana worked at Signal Hill as the grounds manager and later in Provo Utah at BYU Grounds Department. Dana has two precious grandchildren; Mckayla and William Kissee. Dana is also survived by his his brother; Jeffrey Lee Kissee and his wife, Janette Kissee. Dana grew up in Brawley and Newhall, California. He was a bright student in school and could fix anything mechanical. Dana loved Mustangs and passed this passion for cars onto his sons! 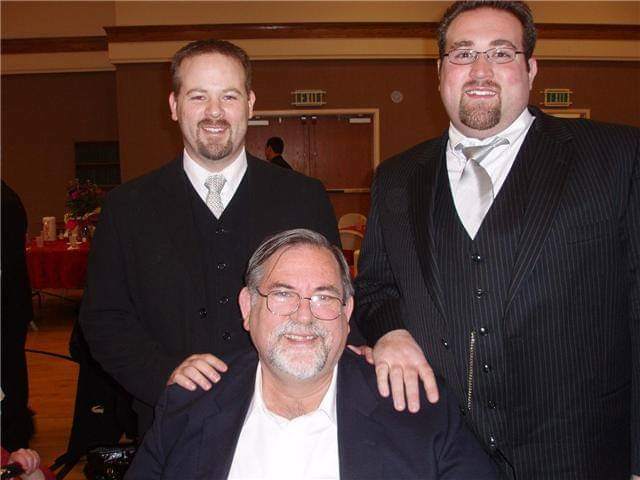 Dana was a devoted father and loved his three sons, Jeremy, Joshua and Jesse with all his heart. He was a fun and loving dad to the boys and he will be greatly missed. Dana was a member of the Church of Jesus Christ of Latter Day Saints and served in many callings; Young Men Secretary, Elders Quorum President, etc. Dana’s health declined in his later years and he relied upon his sons for physical and emotional support. They lovingly cared for him in the most Christ like way possible. Our family is also grateful for the caring staff of Country Life Care Center in Riverton, Utah. We take comfort knowing that our dad is now with our sisters; Joni Ann and Jamie Ann, our brother Jeremy Lee and our grandparents in heaven. We love you dad. Until we meet again. A funeral will be held at the Anderson & Sons Mortuary; 49 East 100 North American Fork, Utah on Monday, February 11, at 2:00 PM Viewing will be held prior to the funeral at 1:00 PM. Burial will be in Lindon Cemetery in Lindon, Utah. Dana will be buried next to his beloved children, his sweet mother and father.